There are eight sections of the corridor that already have trails on them, three in the Rockville-Olney area and five in Fairfax County. One, the Gude Trail, even has a name. Filling in the two gaps between the pieces in the Rockville Olney area would create a 7 mile trail from E. Gude Road in Rockville to Manor Oaks Park in Brookeville. The new Montgomery County Bicycle Master Plan includes part of this as "Utility Corridor #4", which would extend the existing middle trail in Olney to the ICC Trail at Muncaster Mill Road. This would create a de facto connection to the Rock Creek Trail and the Gude Trail, using the ICC Trail and the trails around Lake Needwood. A better connection from the ICC to Rock Creek would be great, but obviously it would make sense to go around Lake Needwood. There is a golf course in the way of this trail, but it's on the section that MoCo plans for the trail already so they must think it is manageable. And of course, this section meets up with another utility corridor in Olney that goes a few miles north and south. The MoCo bike plan calls this "Utility Corridor #3" and plans a 1.5 mile long trail on it centered on the intersection with this corridor. On the south side, the corridor first goes to the Potomac. It passes through Rockville, just past Montgomery College, on land that now has parking lots and subdivisions. It would be hard to build a trail on any of it, and then it would need to cross I-270. The one exception is on the west side of Montgomery Avenue, the corridor opens up there until it reaches the Millennium Trail. Then it runs into the Lakewood Country Club golf course. South of that, the corridor is fenced in to a lot of yards. I'm not saying they own that land or the rights to it, but there would be a lot of people fighting a plan to put a trail literally in what they see as their back yard. At around Piney Meeting Road it opens up some more, but is still fenced in all the way to River Road. It would be a diplomatic challenge to put a trail on much of this, which is why it likely isn't in the plan. At River Road, the corridor meets up with the Potomac Water Filtration Plant and the Potomac River. I get that a bridge across the Potomac here would be tough, but not as tough as other places, and the location actually makes sense. It's about 1/3 of the way from Chain Bridge and White's Ferry, an area where there are no bike/ped crossings, so it would fill a big gap. It would be cheaper to build a crossing here than at the American Legion Bridge - though both would make sense. It would create a connection to an island in the Potomac that can now only be reached by boat (something NPS might see as a feature). 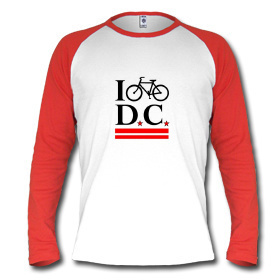 It would connect the C&O Canal Trail with the Potomac Heritage Trail. And since the area is already clear of trees to make room for the pipeline, it would have less environmental impact than one located elsewhere. It might be the best place to build a new Potomac Crossing to Fairfax. A bridge could connect on the VA side with local streets, but the corridor quickly becomes back yards and parking lot space again. That changes around Georgetown Pike. From there it might be possible to build a trail all the way to Wiehle Avenue, and if Hidden Creek Country Club is redeveloped, to the W&OD Trail. That would require crossing Leesburg Pike and Baron Cameron Avenue, but there's already a small neighborhood trail on part of it near the Uplands Pool. South of the W&OD Trail, the corridor runs into the Dulles Toll Road corridor, Reston National Golf Course and some more development that would make a trail difficult; but south of South Lakes Drive, a trail would be possible to add a trail all the way to I-66. This section already has some trails in it. In other places it might make sense to use existing paths in a similar corridor - like the bike lanes on Colt's Neck Road - but most of the way it could just be built in the corridor. Most noteworthy among the existing trails is the 1 mile one from West Ox to Percheron Lane and the 1.9 mile trail in the Cub Run Park area. Building along this corridor - and connecting across the Dulles Toll Road by building a real bike facility in the Reston Parkway corridor would create a trail system from the new I-66 Trail to Georgetown Pike, connecting to the W&OD Trail and Cub Run Trails. Furthermore, at Cub Run, the trail runs into another corridor that will be #9 on this list. None of this is in the Fairfax County Bike Plan. North of Olney, the corridor starts to run into the back yard problem, but it might at least be possible to connect the existing piece to the Rachel Carson Natural Surface Trail. Then around Clarksville it opens up again for a few miles south of the Tridelphia Reservoir, though that section would need a bridge over the Patuxent River. But north of that, the pipeline goes under a lot of farmland - and crosses into Howard County. The corridor is long, and it connects to the Custis/I-66, W&OD, C&O Canal, Millennium and Rock Creek Trails; giving it enormous potential. But the nature of gas lines is that they allow more development on the ground - mostly lawns, parking and golf courses - and so there is more conflict. In addition, crossing the Potomac is no small task - it's both costly and requires building on NPS land next to a secure facility. At least Montgomery County has chosen to take advantage of the lowest hanging fruit. After a long hiatus, the Christmas Wish List is back. This year it's going to highlight the potential that utility corridors - those that allow for gas or electricity lines - have for multi-use trails. Montgomery County has been a leader lately in recognizing this, but there are opportunities in Prince George's and Fairfax too (the inner jurisdictions, less so). Montgomery County required PEPCO to tolerate trails on their corridors in order to allow for the merger with Exelon, and in their recent Master Bicycle Plan they included several trails on utility corridors. Utility corridors can be used for trails, but they aren't as natural a fit as railroad right-of-ways for trails for several reasons. For one thing, there aren't any in DC proper because power lines aren't allowed in the L'Enfant city. Another problem is that the land is often used by something else - farms, parking lots or golf courses - beneath or above. That's great for land use, but it makes adding a bike path through a corridor difficult. Finally, the nature of power lines is that they, unlike trains and bikes, can easily traverse rough terrain or bodies of water so there is no pre-existing earthworks like cuts and bridges to reuse. Some of the corridors stretch across 50 miles or more and adding a trail would cost many millions, take decades and require extensive negotiation with dozens of landowners. Still, utility corridors can help to expand the trail network. They can help create a "breezeway" network that connects towns like the one Montgomery County is planning if they're capitalized on correctly. After all, one of the regions most popular trails - the W&OD Trail - was a utility corridor at the time the trail was built. Sure, it's best known as a railroad corridor - having hosted one for more than 50 years - but it then became a power line corridor before VEPCO sold the land to NVRPA to build the trail. It's doubtful any of the corridors I'll mention over the coming days will ever be as popular as the W&OD or that any will become a bike trail in their entirety. Most aren't even vaporware at this point. But they represent a great opportunity for intercity biking and could be a boon to the communities they pass through. In what appears to be a bit of coordination, DDOT released new renderings of the proposed replacement Frederick Douglass Bridge in conjunction with this Washington Post story on decaying bridges. Similar to the 11th Street Bridge that is in the final stages, the new bridge promises to have more space for cyclists and pedestrians. The new bridge will carry six lanes rather than four and will include space for pedestrians and cyclists. A traffic oval is planned on the downtown side and a traffic circle will help connect the network of streets and highways on the Anacostia side. Interchanges will link Interstate 295 and the Suitland Parkway. Other improvements, including an urban boulevard along South Capitol Street and developing the Anacostia waterfront and linking it to the Riverwalk Trail east of the river, swell the overall cost of the project to $906 million. The renderings show a bridge with wide bike/ped lanes on both sides. These lanes have overlook areas at the center abutments where people can stop and enjoy the view. Like the 11th Street Bridge, it appears to have long, indirect connections to the Anacostia Riverwalk Trail. On the northeast side, cyclists will have to ride across to a new traffic circle at Howard Road and then turn around and head back to the river. On the southeast side, they will again head to the traffic circle and then the sidewalk/path will lead to the future South Capitol Street Trail. A combination of other sidewalks/crosswalks appear to follow the Suitland Parkway as far as Firth Sterling Road. On the west side, the sidepaths connect first to the traffic oval before connecting to R Street, South Capitol Street and Potomac Avenue. The rendering doesn't show the Florida Rock development on the northwest side of the bridge, but there is nothing to indicate a quicker connection to the trail across that site. DCist reports that the $660 to $905 million could enter design and build work this year. And, of course, a design/build contract means that these renderings don't represent exactly what will be built. As an aside, I'm glad to see that they asked about building it without the drawbridge capability. I've asked DDOT about this and I got a response about federal law requiring that waterways not be closed, just in case they're ever needed in time of war. But that seems like an expensive luxury. It might be cheaper to move the Navy Yard port to Bolling than to build the drawbridge. Finally, for anyone who thinks there is a "war on cars" all they have to do is look at this and the 11th Street Bridge project. Together they represent more than $1B in spending in less than a decade, primarily for motorists. That's as poorly executed a war as history has ever known. Update: GGW isn't even sure we should build this, though the bulk of their concerns appears to be with the traffic circle and the oval. I'll agree that it appears to be wasting space, but maybe they could put a velodrome inside the traffic oval. Though the option of keeping a new bike/ped Potomac River crossing was retained, some of the specific locations for that bridge were eliminated. A bridge downstream of Long Bridge was eliminated even though it scored quite high; higher, in fact, than all of the retained options. Also eliminated was the proposal to widen the Mason Bridge, or build the crossing between the Rochambeau Bridge and the Williams Bridge. Instead the study focuses on building it between the Williams Bridge and the Fenwick (Metro) Bridge. This is more of an idea than a detailed plan at this point. The drawings show only the current trail and note that it should be improved. One can assume this would mean widening the trail connections and removing some obstacles on the DC side, but at this point they haven't done the detailed study. The cost of this is only ~$350,000. The original proposal placed the bridge just upstream of the Fenwick Bridge. But after discussions with the steering committee the option was revised to place it between the Fenwick Bridge and the Long Bridge so that it could tie into the proposed bridge to Long Bridge Park - creating one continuous bridge from DC to Long Bridge Park with access to the MVT. The typical section of the bridge would consist of a 16-foot wide shared use bicycle/pedestrian path. The bridge length would be approximately 2,500 feet, with tie backs on a slope of 12 percent, for safe landings. The bridge elevation would be at a height of 30 feet above the mean low water elevation. A new 16-foot wide crossing, especially one that ties into Long Bridge Park directly, would be a real benefit to those biking between DC and Arlington, and, at $26.8M (the most expensive action alternative carried forward) it is certainly a bold proposal, but I wonder if this bridge couldn't be a bit bolder. On the DC side it drops one off at the island of East Potomac Park, which is fine if one is going upstream via the Inlet Bridge. But if going northeast via the Outlet Bridge or east via the Case Bridge, it makes for a roundabout trip. Better would be to continue the new Potomac River bridge along the north side of the railroad tracks over 395 to Ohio Drive on the other side of the Island. If one wanted to get really ambitious it could be continued along the RR all the way to Maine Avenue or even to 12th Street. That would be very ambitious and would probably require buying land and tunnel space from CSX,. As for a less ambitious proposal, the DEIS includes an appendix on just the trail bridge to Long Bridge Park. 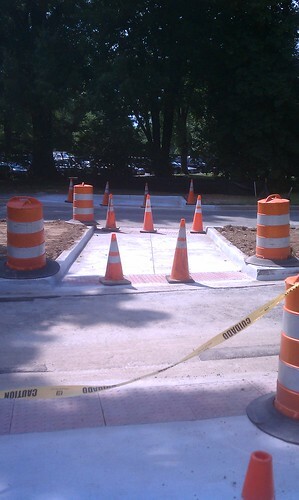 I didn't see a cost estimate for this, perhaps because it would be paid for by Arlington County? create a single, regional master plan that connects the bicycle and pedestrian master plans of Washington, DC and Northern Virginia. The primary goal of this option is to unify the signing system used for bicycle routes and pedestrian facilities in jurisdictions within the study area. In addition, pedestrian and bicycle routes would be added in areas where there are large gaps. South Fern Street, from the south parking lot of the Pentagon to the Army Navy Road across I-395, the Army Navy Road, and a small section of 12th Street would be upgraded to accommodate bicycles and pedestrians. This upgrade would improve the bicycle/pedestrian connection between the trail along west Washington Boulevard and the Pentagon City bicycle network. Three Notch Trail - The thing about the earth is it doesn’t change until man changes it. The St. Mary's County Department of Recreation and Parks Director Phil Rollins went to the Board of County Commissioners seeking approval of $50,000 toward the $1.9 million cost of building the Mechanicsville section of the Three Notch Trail. This section will connect the two existing sections to create an 11 mile trail, much of which follows the old railroad of the same name. But several new members of the commission asked if, instead of closing that gap, the trail could be contiinued south from the existing southern section to Hollywood, California or Lexington Park. The reason given by Commissioner Dan Morris was that “Where this section of trail is, I have some problems." “Sometimes we make decisions that reverse momentum from previous boards.” Commissioner Lawrence Jarboe added. Morris then adds, without explanation, "“Make [the Mechanicsville section] the last one. It doesn’t have to be rushed. I think the general population would be much happier” if the trail were built in California and Lexington Park. The thing is that the county is already well into the design and engineering phase. That contract for the Mechanicsville section of the trail has already been awarded for $164,778 and so far $61,796 has been spent on the work. Furthermore, the sections that the Commissioners want to see moved up in the order are not ready for trail construction. In the California and Lexington Park area, the old railroad right of way is intended to be used to build FDR Boulevard. The continuance of Three Notch Trail relies on plans for that road, .... Plans for the development in the trail in Hollywood are several years out and the old railroad right of way is gone; it was used to dualize Route 235. There is an electrical utility easement through Hollywood, but the entire corridor is not publicly owned. Morris isn't worried about that because “Wouldn’t that design be good for years? The thing about the earth is, it doesn’t change until man changes it.” Which is true if you ignore earthquakes, volcanoes, glaciers, rain, wind and all of the other forms of weather and geological events. But even if we ignore nature, man still changes things. Today's plans might not be relevant 10 years from now because of land transactions, and such a reordering could delay this section by much more than that. DC, for example, had originally planned to turn the area along the Met Branch Trail north of NY Avenue into a park, but in the years between the plan and the design, PEPCO and others bought the land that DC needed for that park. So waiting has consequences. Another report stresses some opposition in Mechanicsville. The minutes and video from the December 13th meeting are not yet available. GGW recommends creating a 2nd bridge to the RI Avenue Metro from W Street just west of the Met Branch Trail. While not a bad idea, it is highly unlikely to happen any time soon. We're still more than a year away from the first bridge connection being completed. And, there isn't the same space available as for the bridge to the north of the station. Shane Farthing of WABA recommends, in response to the bike lane shortfall, an update to the DC Bicycle Master Plan "it is also time for cyclists, advocates, and officials to think about the next five to ten years and the projects and deliverables we want to see. Much has changed since 2005, and it is likely time for an update to the Bicycle Master Plan to reflect the growth and development of bicycling." Emergency pedicab regulations were allowed to expire late last month due to an oversight, but they are reinstated today, and now they're "permanent." Despite concern from operators, the rules were unchanged, so the cost of pedicab rides will likely go up. There's another new Capital Bikeshare station. This one is in Congress Heights and it appears to have been installed Batman-style. Coming this March, the Crystal City Diamond Derby. "The derby will allow “competitive, casual and chic cyclists” alike to ride around an obstacle course in a massive parking garage under the Bureau of National Affairs building (1801 S. Bell Street) in Crystal City." Mark Blacknell puts out a cyclist wish list for Arlington. As my new job has me too busy to do one myself this year, what do Washcycle readers want to see in the coming year(s)? As Glenn Frey put it, "The Heat is On." It was so hot yesterday that the store portion of the Bike Station closed early (it has no AC). Additional cameras have been installed by DDOT in the vicinity of the New York Ave bridge to watch the MBT. 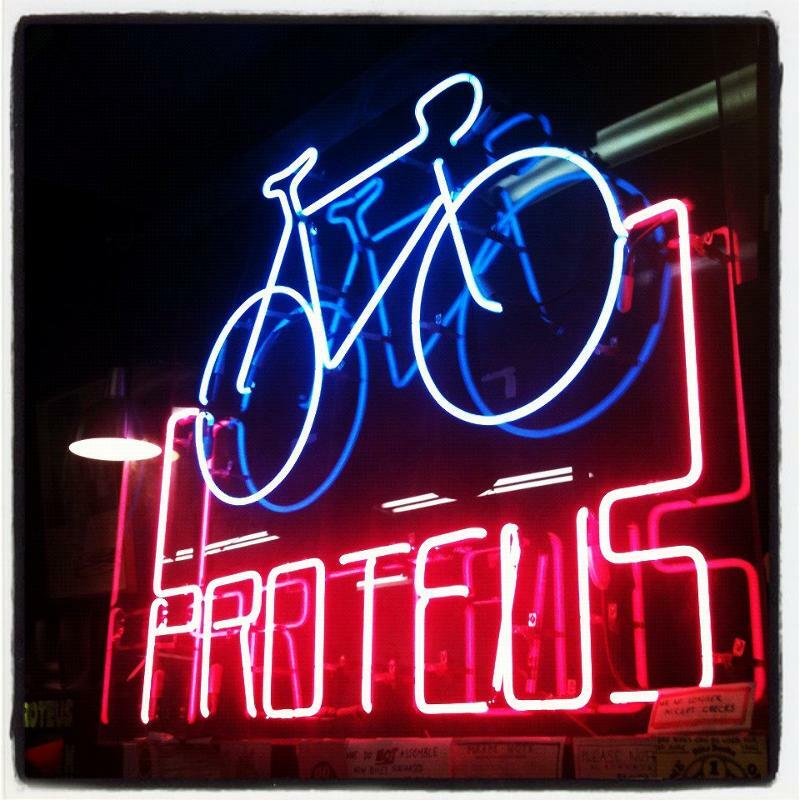 WABA reminds members to support bike facilities on Oregon Ave NW. GSA will make employees pay for parking. That could lead to increased bike commuting. A history of the Bikes May Use Full Lane sign. A young woman was hit while crossing the road to get to a Bikeshare station. She was on foot, but had her helmet on anyway. Reportedly, she was lept at the hospital overnight for observation, but appears to be doing well. A witness reports that the driver was running a red light. This is the pedestrian crossing for the Columbia Island Marina Drive at the end of the connection to the MVT. The Marina looks like a nice place to eat lunch (if it's open to the public). 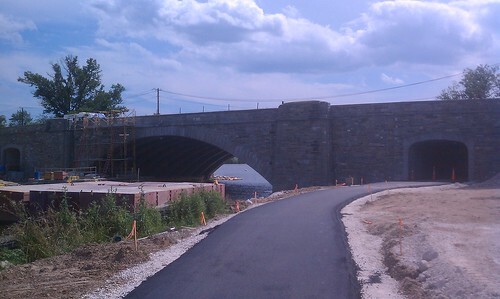 The trail to the underpass on the DC side of the Humpback Bridge is now paved all the way to the Marina. Techincally it isn't open yet (you can see the cones ahead) but that wasn't stopping people from using it. Will E Street south of the White House be open for cyclists? landscape and infrastructure changes to the area that respond to the street closures and re-design of security elements to ensure the iconic historic nature of the landscape that is the White House and its environs and an important destination for visitors. While closing E Street is not something I support (it's as far away from the White House as H, which is not closed), if they insist on doing so, I hope they leave it open for bicycle traffic as they've done with Pennsylvania Avenue. It makes sense, since Penn is way closer to the White House than E.
Closing the streets isn't a done deal, and what things will look like afterward isn't either. Comments are due in 45 days. Supposedly you can comment here, but I'm not sure how. Comments may be submitted electronically through the NPS' Planning, Environment and Public Comment (PEPC) Web site at http://parkplanning.nps.gov/PRPA (The NPS preferred method of receiving comments), or by mail to: Office of the National Park Service Liaison to the White House, 1100 Ohio Drive, SW., Room 344, Washington, DC 20242. WABA, BAC and cyclists who might use an open E street should submit comments to this process. There is also a meeting this month. During scoping, a public meeting will be held on Thursday, March 31, 2011, to present information and obtain input from attendees. The meeting will be held from 6:30 p.m. to 8:30 p.m. at the White House Visitor Center located at 1450 Pennsylvania Avenue South, NW., Washington, DC. At the meeting, the NPS and USSS will describe the proposed actions and how the planning will be conducted, and NCPC will describe the design concepts competition it is conducting.